The television series The Monkees revolved around four young guys trying to make it in the music business and the mad-cap adventures they had while doing so. 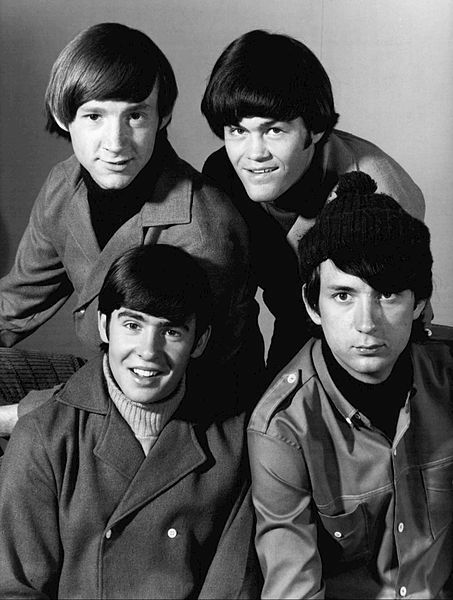 The four “insane boys” (as the casting call described the perfect candidates for the job) chosen by producers Bob Rafelson and Bert Schneider to portray The Monkees were Mickey Dolenz, Davey Jones, Mike Nesmith, and Peter Tork. Dolenz and Jones both had acting experience, Nesmith and Tork were professional musicians. The Monkees was inspired by the popularity of The Beatles, and was scripted with the same cheekily rebellious spirit that pervades The Beatles first movie “A Hard Day’s Night.” But the similarities between the fictional band The Monkees and The Fab Four ended there. Just a few months later, The Monkees would take full control of their destiny as a real band. Although the series only lasted two seasons, it won two Emmy awards in 1967 for Outstanding Comedy Series and Outstanding Directorial Achievement in Comedy. It was widely seen in syndication in the late ’60s and early ‘70s, and enjoyed a huge resurgence in popularity in the mid ‘80s when The Monkees became at least as popular as they were in their heyday. Even if the show never meant to be more than entertainment and a hit-single generator, we shouldn’t sell The Monkees short. It was far better TV than it had to be; during an era of formulaic domestic sitcoms and wacky comedies, it was a stylistically ambitious show, with a distinctive visual style, absurdist sense of humor and unusual story structure. Whatever Jones and The Monkees were meant to be, they became creative artists in their own right.